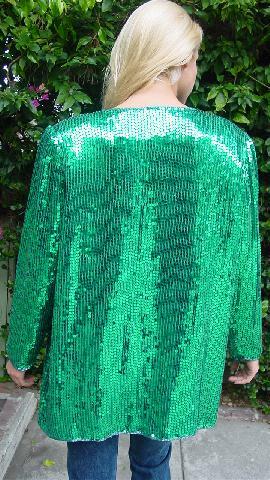 This vintage silk bright green sequined jacket and blouse are by Lawrence Kazar and were made in India. The jacket has a green 100% polyester lining and shoulder pads. The front of the jacket has 5 eyehook closures. 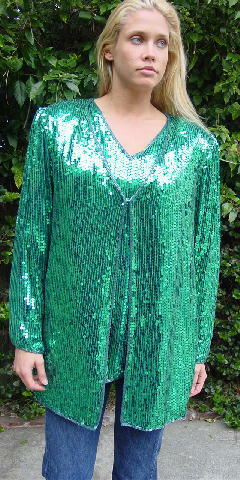 It has long sleeves with 3 rows of light green beads edging the sleeve ends. 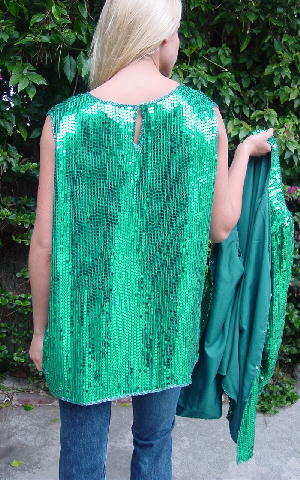 The collar, front, and bottom hem also have three rows of light green beads. The sleeveless blouse has a deep 9 1/4" V neckline and the back has a 3 1/2" slit eyehook closure. 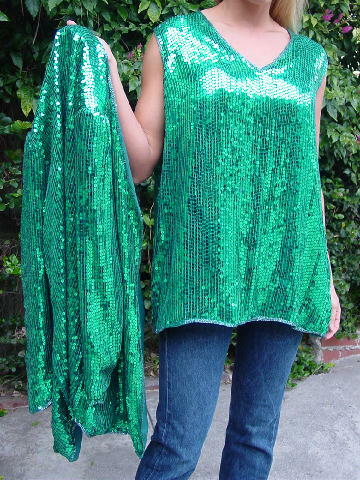 There are 4 rows of light green beads along the bottom hem, armholes, neckline, and back opening. The tag says size AB. armpit to armpit 22 3/4"
shoulder to hem 25 3/4"
armpit to armpit 23 1/4"